I’ll be the first to admit I’m a massive fan of musicals, so was surprised to learn of one I wasn’t already familiar with. 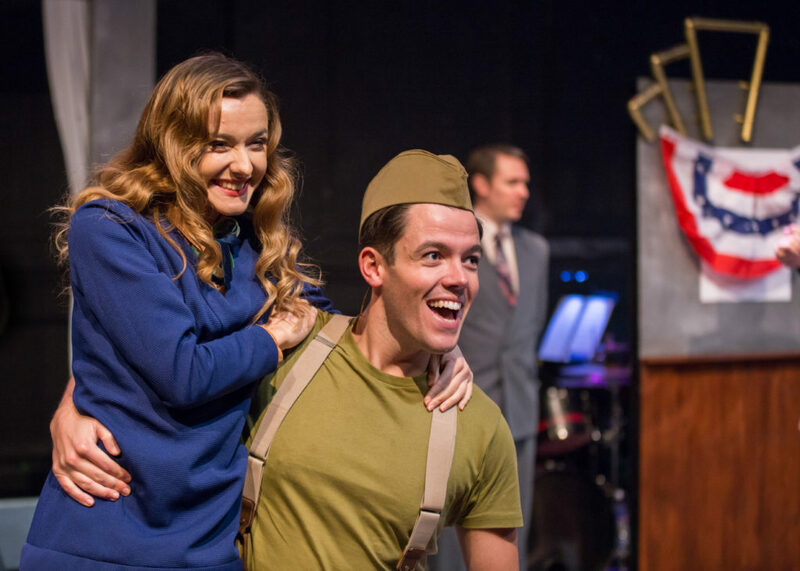 Strike Up The Band was written by George S. Kaufman in 1927, with music and lyrics by George and Ira Gershwin, and is a satirical look at America’s lust for war. The story centres around Horace J. Fletcher (Richard Emerson), a bigshot cheese factory owner who, with the help of various political figures and businessmen, gets the USA to declare war on Switzerland, who have recently opposed tariffs imposed on its cheese. The show’s comedy value is clear from the start with the song “Fletcher’s American Cheese Choral Society” proving an entertaining opening number. We are then introduced to an array of characters, including Mrs. Draper (Pippa Winslow), a society woman intent on pursuing Horace, and her daughter, Anne (Charlotte Christensen), also looking for love in the form of Timothy Harper (Adam Scott Pringle). Meanwhile, Jim Townsend (Paul Biggin) uses a degrading newspaper article to get the attention of Horace Fletcher’s daughter Joan (Beth Burrows), both of whom have clearly fallen for each other. The entire cast have done a good job of developing their characters and all show great vocal and acting skills. Richard Emerson as Horace J. Fletcher is a convincing power-hungry businessman, with Charlotte Christensen embracing her role as a naive young girl with love on the brain. Her scenes/duets with Adam Scott Pringle are particularly entertaining. A special mention must also go to David Francis as George Spelvin, who delivers a masterclass in comedy acting as a mysterious spy-like character. A fairly simple set (Camille Etchart) with nostalgic props suffices and is brought to life with Giulia Scrimieri’s spot-on period costume. Songs are well delivered with the help of a six-piece band, although this did overpower the singing at times, particularly during ensemble numbers. That being said, there are some definite musical gems scattered throughout. Personal highlights include “Hangin’ Around With You”, “Homeward Bound” and “The Man I Love”, a song in which Beth Burrows as Joan displays exceptional acting abilities as well as charming vocals. 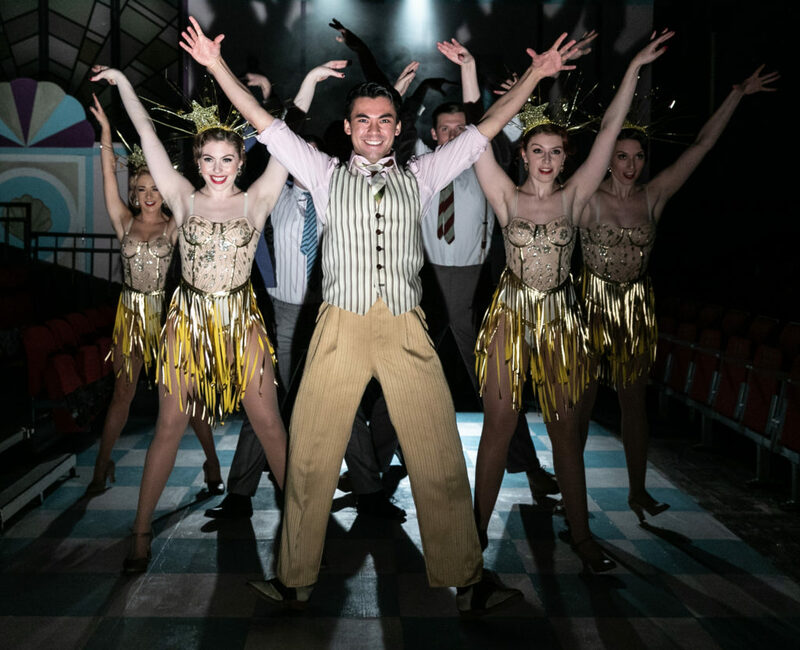 Although bonkers and, at times, a bit difficult to follow, this is a musical that certainly has relevance today and will introduce audiences to some of the Gershwin brothers’ lesser-known songs – there’s even a bit of tap dance thrown in, for good measure! Thanks to director Mark Giesser for bringing this well-performed satire to the London theatre scene.